What Is 'Papaw' And Why Are Celebs Crazy About It? We confess: We love watching bag raids of celebs to know what their essentials are. We're nosy, we know, but what makes our ~habit~ worthwhile is that we get to discover certain beauty (or fashion) finds. In this case, it's the Lucas Papaw Ointment, the red tube Julia Barretto, Jasmine Curtis, and Toni Gonzaga (to name a few) always keep in their bags. 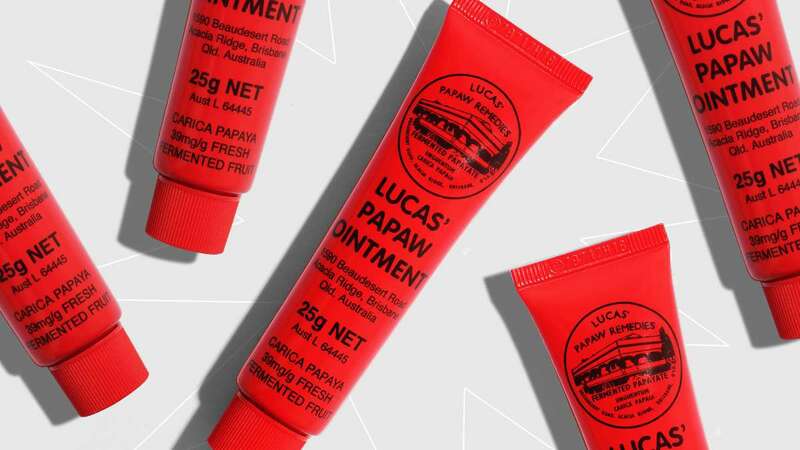 And because it's our job to know all things beauty, we decided to get a tube of Lucas Papaw to find out what makes it sooo special. A topical application meant to soothe minor cuts + burns, rashes, insect bites, and dry areas. Fermented papaya serves as its main healing ingredient, and petroleum jelly + wax is its emollient base. When you're working in a cold office and you neglect your water bottle, it's inevitable that you'll get flaky lips. A light dab of Papaw on the pout grants softness, stat. It can double as a lip primer, too! Spread a tiny amount all over your puckers, leave it on a for a minute, and wipe off excess product. Ta-da! Smooth lipstick application. If you're prone to getting hangnails or dry cuticles, a thin coat of Papaw saves the day. It made the tiny scratch on my leg (my dog has long toenails ATM) disappear after two days of using it as a booboo balm. Before I wore my new shoes, I put some Papaw on my ankles, toes, and mounds on both sides to prevent getting blisters. Did it work? Hell, yes! TL;DR: It's an all-around salve that should always be in your bag. 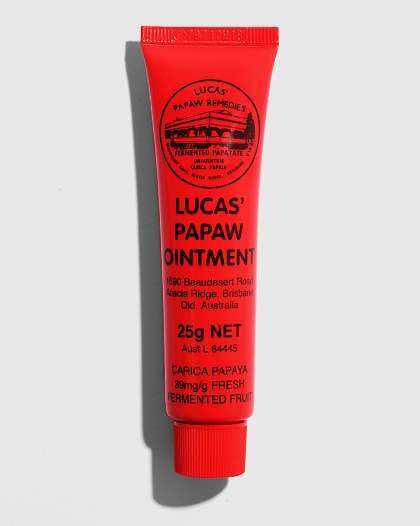 Lucas Papaw Ointment is available in Digital Traincase for P399.